Mix and Chic: Home tour- Lucky Brand's executives' stylish Beverly Hills home! Home tour- Lucky Brand's executives' stylish Beverly Hills home! Check out the Lucky Brand executives' power couple Dave DeMattei and Patrick Wade's stylish five-bedroom, 5,000-square-foot Beverly Hills residence below! What a beautiful home! 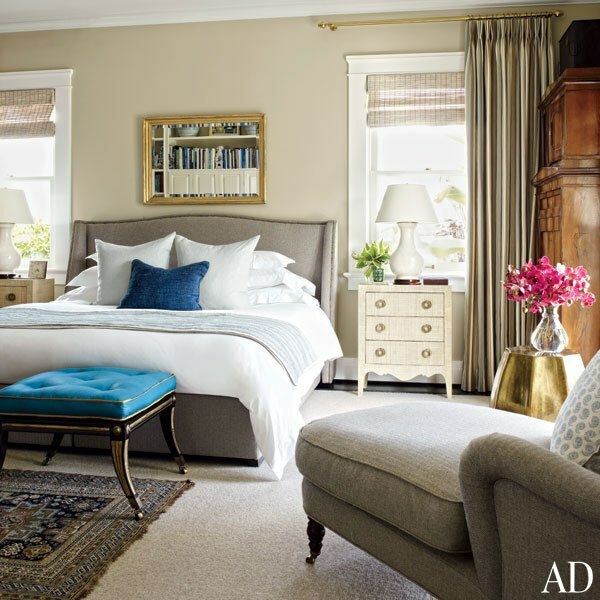 Each room was renovated and decorated by themselves without the help of a decorator. Got to love their sophisticated style and incredible talents. The dining room, kitchen and the pool area are my favorites, which room are you drawn to? They don't need a "DECORATOR" !!! Their home is gorgeous! I love the wonderful outdoor!! That pool and outdoor space is amazing. Love this beautiful home! You pick the most gorgeous projects to post. Pinning! So lovely! 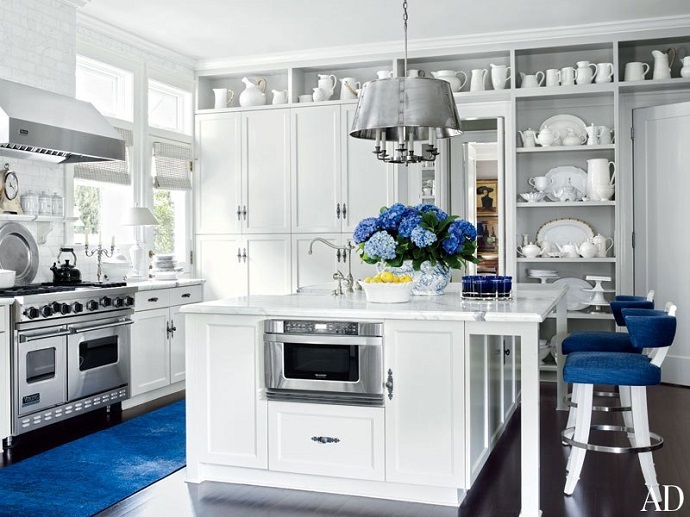 The kitchen with the dark blue accents is perfection! So beautiful!